On this page you will find open access English textbooks along with supplemental materials. The purpose of these subject specific pages is to highlight content for those who are interested in what open educational resources are available. This list of content is by no means exhaustive. The nature of open educational resources is very collaborative and we encourage comments about the content featured on this page, or recommendations of content that are not found here. 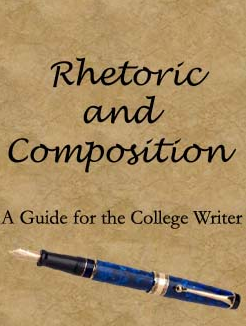 Rhetoric and Composition - designed for use as a textbook in first-year college composition programs, written as a practical guide for students struggling to bring their writing up to the level expected of them by their professors and instructors. 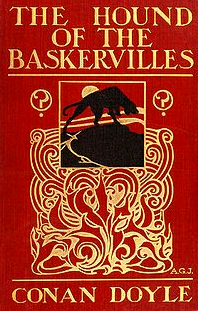 The Hound of the Baskervilles - the third novel written by Sir Arthur Conan Doyle that features the brilliant Sherlock Holmes and John Watson. 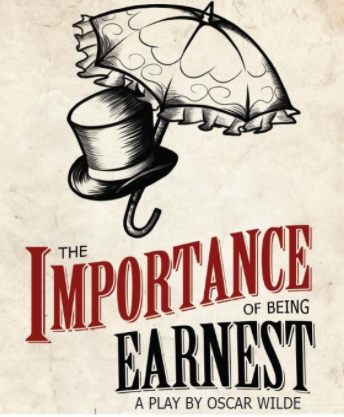 The Importance of Being Earnest - Oscar Wilde's most brilliant tour de force, celebrated not only for the lighthearted ingenuity of its plot, but for its inspired dialogue, rich with epigrams still savored by all who enjoy artful conversation. A collection of textbooks on topics such as professional communication, and literature. A collection of textbooks on English and composition. LibriVox volunteers record chapters of books in the public domain, and then releases the audio files back onto the net for free. 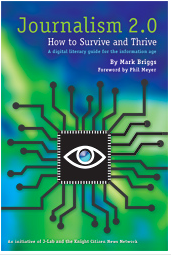 Offers over 54,000 free eBooks: epub books, and kindle books. You will find the world's great literature here, especially older works for which copyright has expired. A collection of speeches that includes audio and transcripts, maintained by Michael E. Eidenmuller - Professor of Communications at the University of Texas at Tyler. A collection of textbooks, courses, tutorials, and presentations about the study of english literature. Designed to serve students majoring, minoring, and concentrating in Literature as well as those students who may get to take only one or two Literature subjects while at the Institute, the Literature curriculum at MIT offers a wide range of undergraduate classes at Introductory, Intermediate, and Advanced levels. Offers over 200 free resources including: Writing and Teaching Writing, Research, Grammar and Mechanics, Style Guides, ESL (English as a Second Language), Job Search, and Professional Writing. 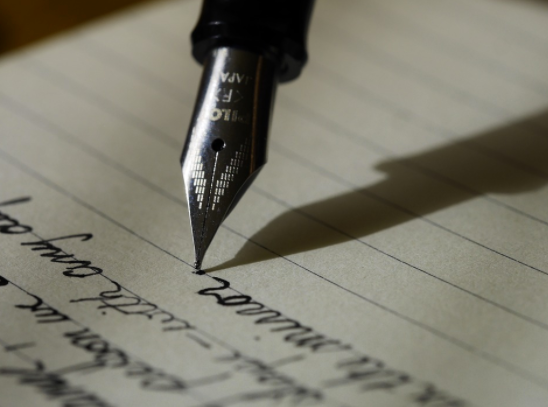 A collection of courses in writing, and literature. A collection of TED Talks (and more) on the topic of literature. A free, comprehensive, peer-reviewed, Open Text (website) for students and faculty in college-level courses that require writing and research. A peer-reviewed journal devoted to advancing research, theory, and practice in the area of information literacy in higher education. One of the first openly accessible, peer–reviewed journals on the Internet, solely devoted to the Internet. An interdisciplinary journal that, while centered in communication, is open and welcoming to contributions from the many disciplines and approaches that meet at the crossroads that is communication study. A peer reviewed open access journal published monthly and covers all areas of English and Literature. The study and the practice of enabling communities with Information and Communications Technologies (ICTs). CI seeks to work with communities towards the effective use of ICTs to improve their processes, achieve their objectives, overcome the "digital divides" that exist both within and between communities, and empower communities and citizens in the range of areas of ICT application including for health, cultural production, civic management, and e-governance, among others. A peer reviewed open access journal published monthly and covers all areas of the subject. An international open access journal dedicated to a wide variety of basic and applied research in communication and its related fields. It aims at providing a research forum on the social and cultural relevance of media and communication processes. A peer-reviewed, inter-disciplinary eJournal dedicated to the exploration of the contemporary fascination with re-imagining the nineteenth century and its varied literary, artistic, socio-political and historical contexts in both British and international frameworks.